The incredibly articulated and realistic SH Figuarts WWE line continues with "The Big Red Machine", WWE Kane SH Figuarts Action Figure! 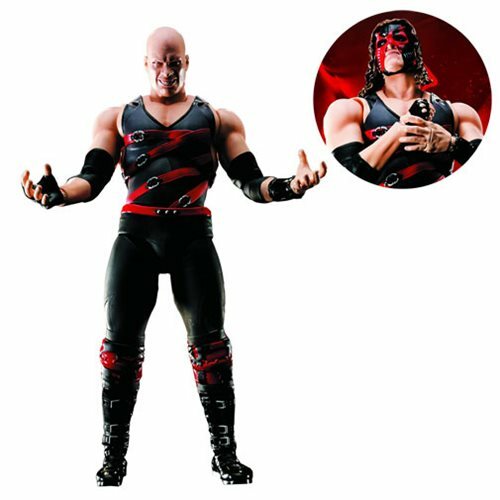 This spectacular 6-inch rendition of Kane comes with a variety of accessories including an interchangeable head piece designed with his iconic mask. In all, set includes interchangeable hands (left and right), jointed interchangeable hands (left and right), towel, and 2x interchangeable heads. Ages 15 and up.